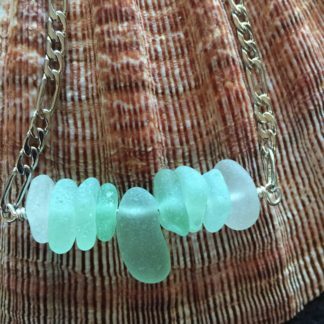 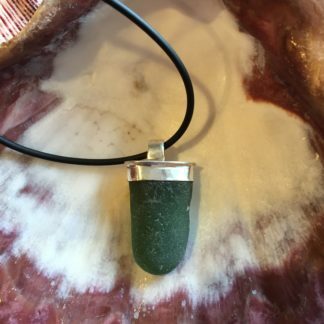 View cart “Sea Foam Sea Glass with a Sterling Chain Necklace” has been added to your cart. 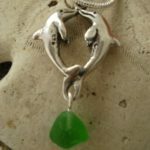 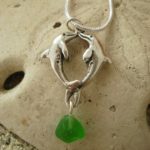 Sterling dolphins charm with green sea glass drop. 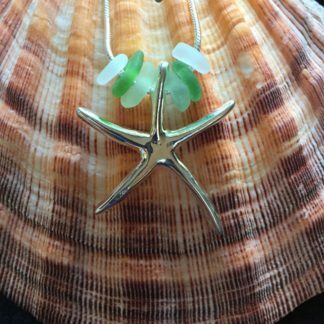 Sterling chain 18″. 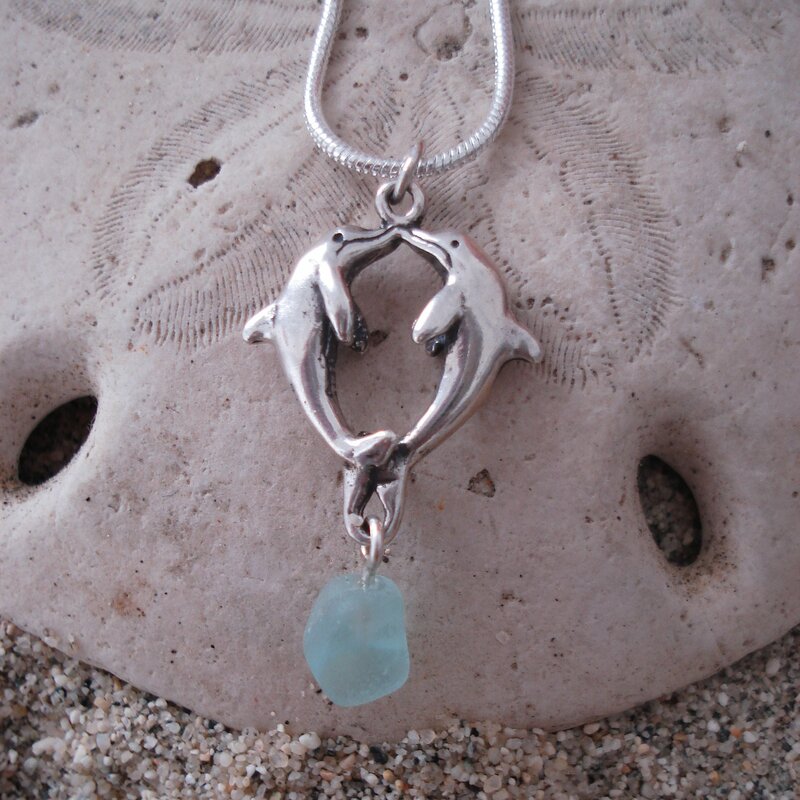 This delicate necklace is light weight, easy to wear and really pretty. 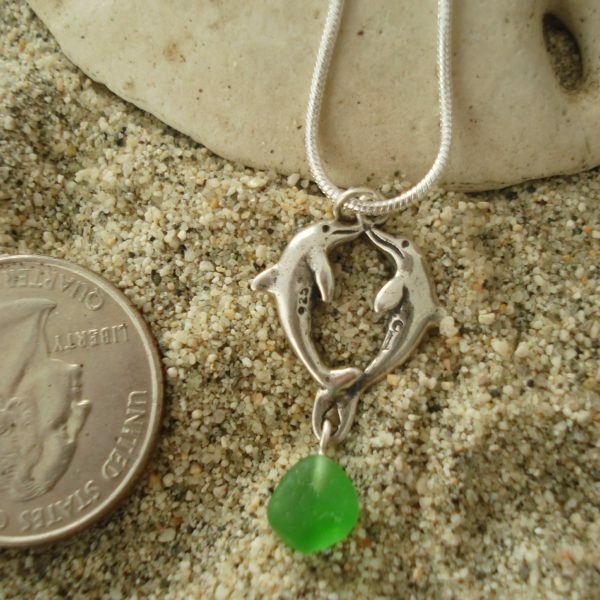 Smaller than a quarter, yet so charming. 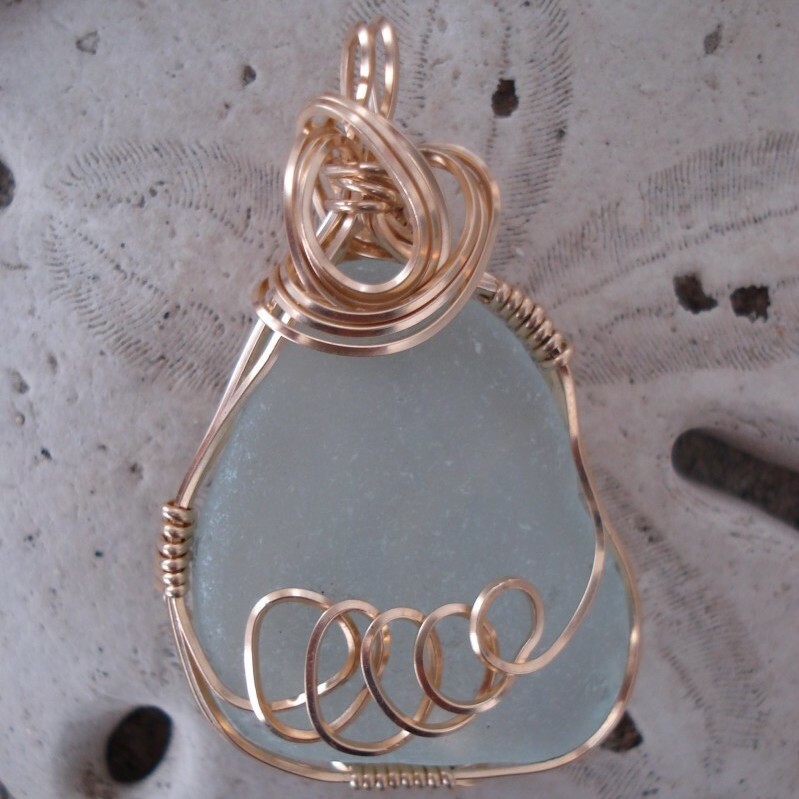 Great gift for yourself or someone special.